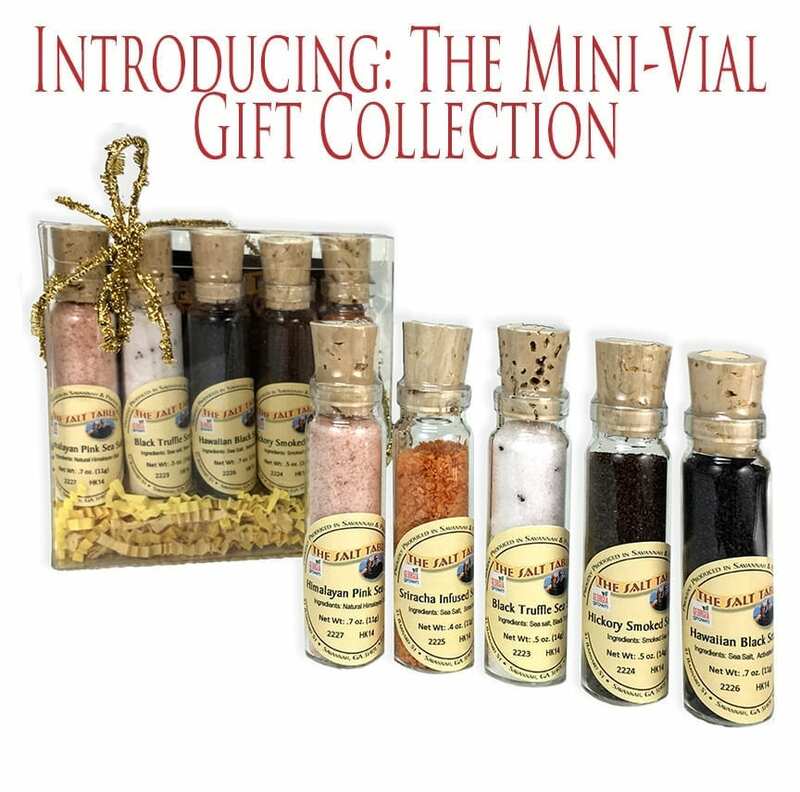 The Salt Table is a Savannah based brand of salts, seasoning blends, oils and vinegars, tea and other specialty foods. Wine tastings at The Salt Table are fun and informative. On your next visit to historic downtown Savannah plan to stop in. No sales taxes are charged for orders shipped outside of Georgia from The Salt Table. 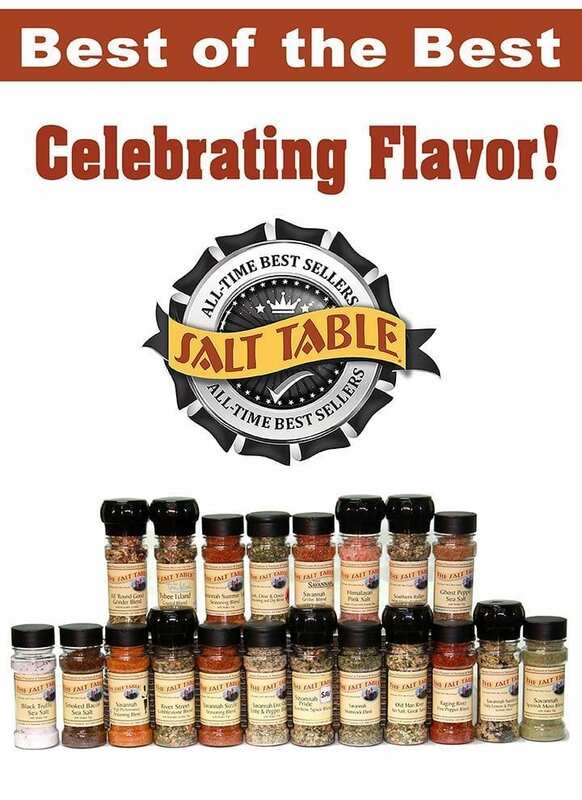 The Salt Table is a Savannah based brand of salts, seasoning blends, oils and vinegars, tea and other specialty foods. Click HERE for complete list of Salt Table’s Best Sellers. 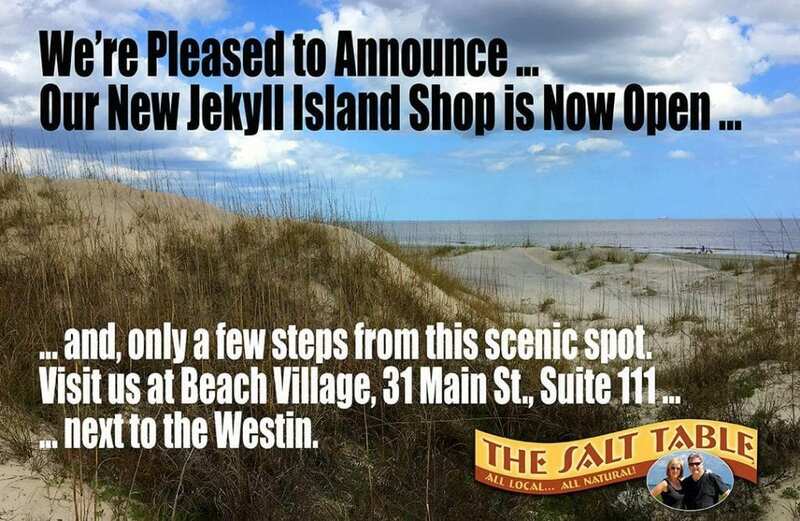 It's now open ... our NEWEST SALT TABLE SHOP is located on JEKYLL ISLAND, GA at 31 Main St, Suite 111. 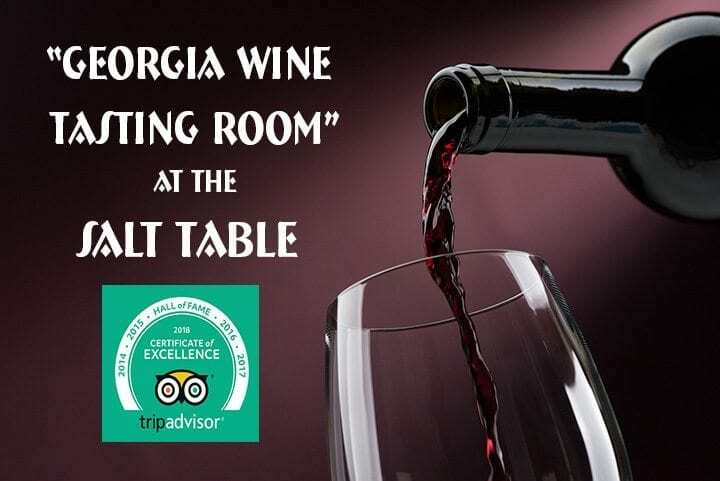 Phone: 912-319-2530 And, like all Salt Table shops ... every delicious specialty food product is Georgia Grown® We're very pleased and we hope you'll love it ... so, be sure to stop by soon. 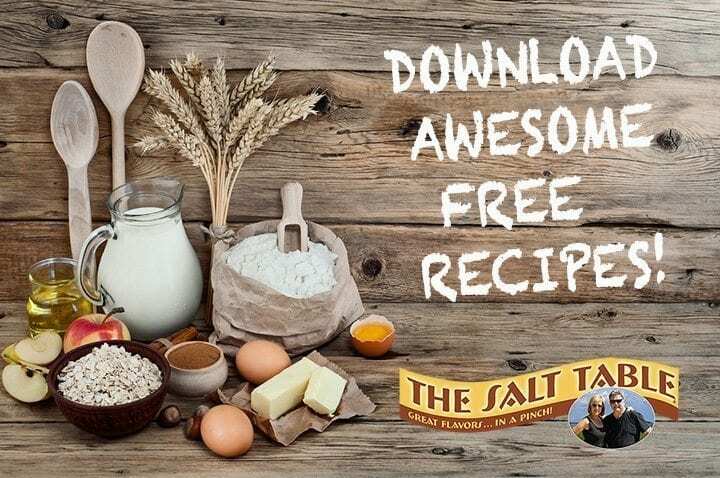 This FREE page features Damon Lee Fowler's favorite recipes with a Salt Table twist. Enjoy! ...for all Online Purchases over $59! Only $7.95 for orders under $59. 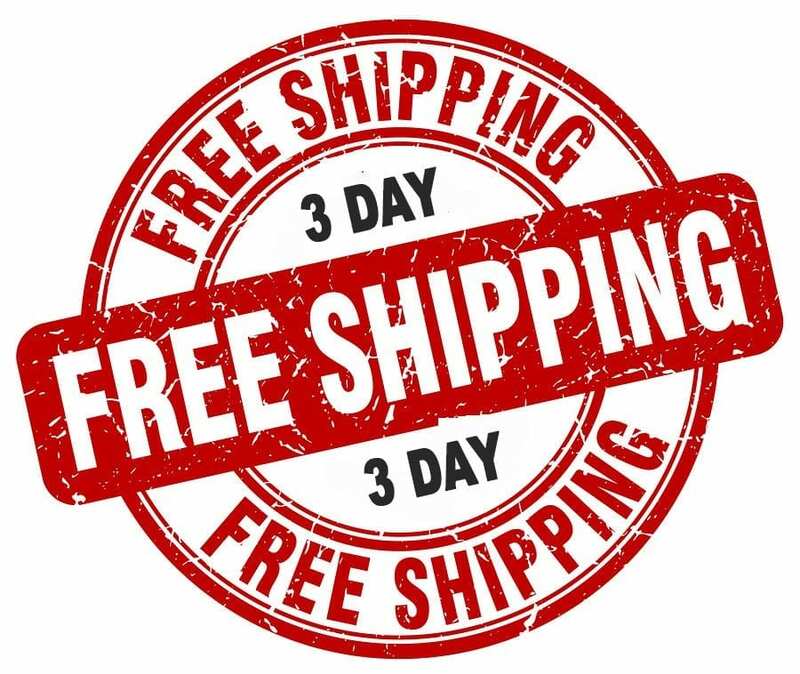 Online Shipments: Free 3-Day Shipping via USPS for online purchases over $59. A flat fee of $7.95 delivers all other orders anywhere in the US. In-store purchases: There is a flat fee of $9.95 for most USPS shipping within the US. However, due to weight issues, there is an additional shipping fee for large salt plates and other large or heavy items. The Salt Table sells Georgia Grown products exclusively. Click HERE for Georgia Grown.